The endogenous release of nutrients from sediments contributes to the eutrophication of landscape water to a certain degree, which depends on the characteristics of sediments. 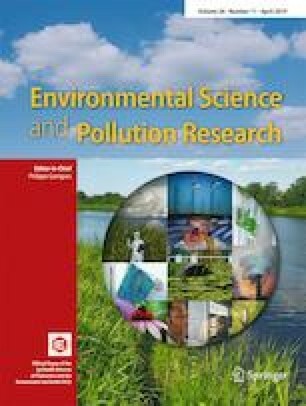 The study explored the characteristics of nitrogen (N) and phosphorus (P) released from two different sediments, which were deposited from reclaimed water (SRW) or surface water (SSW) respectively in Xi’an moat. This paper aimed to compare the effects of nutrient release from SRW and SSW on the water quality. Results showed that the maximum increase rates reached 1.21 mg TN/(L·day) and 0.11 mg TP/(L·day), respectively, in the overlying water of SRW, which were 1.6 and 2.8 times those of SSW. The released amounts of SRW were 0.192 mg TN/g and 0.038 mg TP/g, which were 4.1 and 12.7 times those of SSW. Meanwhile, the densities of benthic algae in SRW and SSW were 5.605 × 109 and 2.846 × 108 cells/L, respectively. Moreover, the species number and individual sizes of benthic algae in SRW were also larger than those in SSW, which played an important role in the nitrogen circulation. Unexpectedly, oxidation reduction potential (ORP) level of SRW was lower than that of SSW, although SRW has a higher dissolved oxygen level. Therefore, the N and P concentrations in the overlying water of SRW were considerably higher than those of SSW, which was mainly attributed to the higher nutrient contents and lower ORP in SRW. This work was supported by the National Natural Science Foundation of China (No. 21677115) and the Shaanxi Provincial Natural Science Foundation Research Key Project (No. 2016JZ019).